Thandai Flavored Cake is a yummy cake with infused flavors of an Indian drink , that is, Thandai. Serve this at tea time or as a unique cake at parties and surprise your guests! Holi is one of the most popular festivals of India. It is celebrated during the month of March. It is known as festival of colours. People prepare especial food items during this festival. Some of the most popular Holi dishes include Gujia, papad, chips, namak baare, dahi bade etc. One of the most loved Holi beverage is Thandai. Thandai, is an Indian cold drink prepared with a mixture of almonds, fennel seeds, magaztari seeds (watermelon kernel), rose petals, pepper, vetiver seeds, cardamom, saffron, milk and sugar. It’s a popular drink and is a common bevarage during the Festival of Holi. (Indian Festival of Colours). As mentioned above, it is prepared using a number of things . Thandai can be prepared at home or it can be bought from the market. The process of making this cake is quite easy. It is a one bowl cake recipe. This means that tgis cake can be prepared using only one mixing bowl and a hand whisk or a spatula. 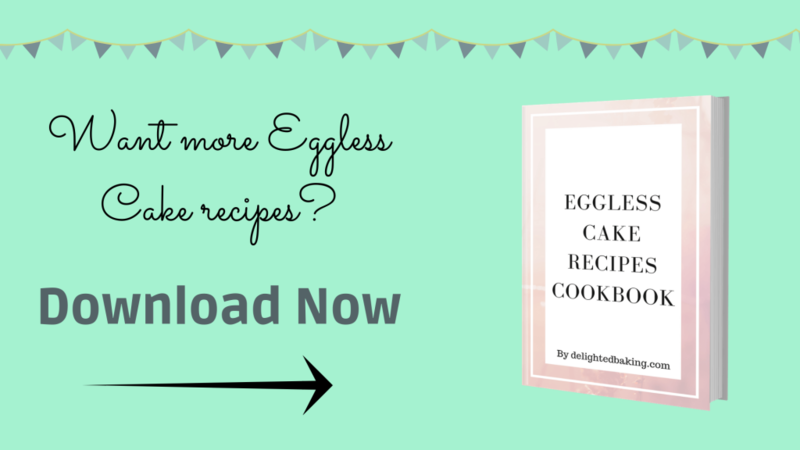 You do not need a stand mixer or a hand mixer for making this recipe. All you need is a hand whisk or a spatula. For this recipe we will firstly mix curd, baking soda and baking powder. We will cover this mixture for at least five minutes. This step is important as the addition of baking powder and baking soda into the curd makes the curd a little sour in nature. This helps in making the cake moist and soft. After this step we will ad oil and sugar into the curd mixture. Its better to use powdered sugar in this recipe. You can also use butter in place of oil in this recipe. The next step is to add the thandai powder or syrup. Mix this really well. This step is followed by the addition of all purpose flour and milk. And finally the batter is mixed till it is lumps free. This cake is a fusion recipe. Simply because Thandai is an Indian Drink and Cake has its origin from outside India. Thus we are mixing two unique and tasty flavours in this cake and thus it is a fusion cake recipe. You can serve this cake on the occasion of Holi. People would love to “eat thandai” rather than drink it. Surprise your guests with this fusion thandai cake. You can also serve it in a party. People would be surprised by your baking skills when you will serve them a thandai flavoured cake. Or simply bake this cake to surprise your family. They will love this cake. This is a tea time cake. This means that it does not need any frosting or icing. We will simply cut it into pieces and will eat. You can serve this along with a cup of tea in the evening. You can also serve this as a dessert. But If you want you can use this recipe for baking a cake and then frost it. This cake would be the perfect base. You can frost it as you like. Preheat the oven at 180°C for 10 Minutes. Grease a small loaf cake tin. In a bowl, add curd, baking powder and baking soda. Mix well. After 5 Minutes, add oil and sugar. Now add thandai (powder or syrup). Mix. Also add 1/4 Cup Milk. Mix till this forms a smooth cake batter. Bake at 180°C for 30-35 Minutes or till a toothpick inserted into the center of the cake comes out clean. 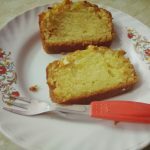 Tasty Thandai Flavoured Cake is ready. 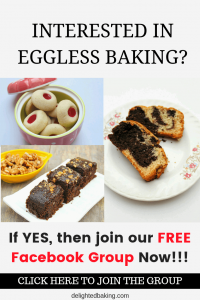 If you have any questions regarding the recipe, feel free to ask them in the comments below.